Penny grew up in Tunica, Miss., a town whose underfunded education system spurred her to be the go-getter and self-starter she is today. After graduating from high school early, she came to Delta State University, where she now majors in English with a creative writing concentration. 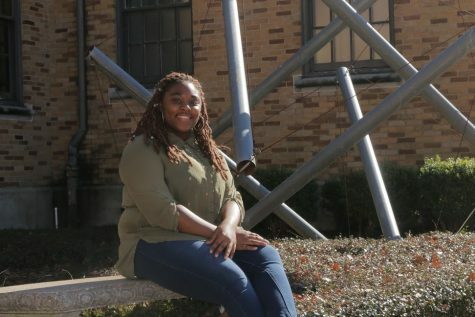 Campus involvement has become especially important to Penny in her sophomore year, and she proudly serves as an SSI Ambassador for the Delta Program Council and, for the second semester in a row, as a staff writer for the Delta Statement. Her interests include writing short stories and debating hot topics with her roommate.